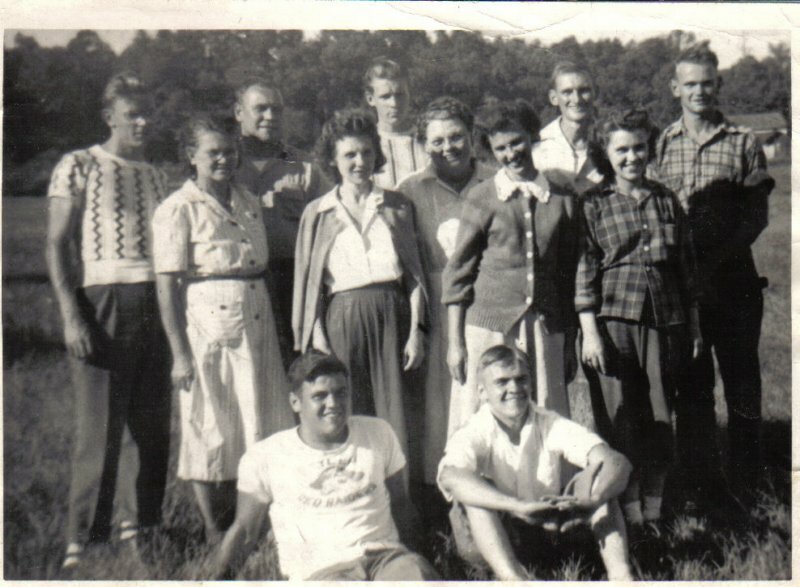 Ida Fuchs Riggs Family, summer of 1949. 11 of her 13 children. L-R front: Nile and Jimmy Riggs. Second row: Ida Riggs, Evelyn "Johnnie" Mercer, Nina Soloman, Jeri Long and Katy Still Amos. Third Row: George Riggs, Ernie Fuchs, Ronnie Riggs, Junior Fuchs and Joe Riggs. Photo donated by Nila Goudy, grand-daughter of Ida Riggs. Thanks Nila.